Der Artikel Pierre Favre (geb. 1937): Fleuve wurde in den Warenkorb gelegt. Swiss drummer-composer Pierre Favre has been bringing new impulses to European jazz since the 1960s. At home with all of the music’s styles, from New Orleans to bop to free playing, he is in every context a uniquely lyrical, melodically-minded drummer. The range of ECM musicians with whom Favre has played gives an index of his open-mindedness: from Dino Saluzzi to Arvo Pärt to John Surman and Barre Phillips. His leader dates for the label have included discs with Kenny Wheeler and Steve Swallow (“Window Steps”, 1995) with singer Tamia (“De la nuit... le jour”, 1987, “Solitudes”, 1991) with fellow percussionists Paul Motian, Fredy Studer and Nana Vasconcelos (1984). “Fleuve” introduces his new ensemble, a group of most unorthodox line-up. With tuba, double-bass and bass guitar, the music does not lack authority at the bottom end when needed, but it is also highly mobile and agile, and is given plenty of room to move inside Manfred Eicher’s spacious production. Its music is elegant, sinuous, poetic, its timbres and textures surprisingly evocative of renaissance music, its lyricism timeless. 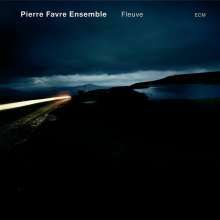 In Favre’s pieces, the differentiated dynamics, arrangements and melody are influenced and developed primarily from the sound colours of his solo percussion playing. Sometimes drums, harp, bass and guitar function as a core ‘rhythm group’ inside which musical ideas are perpetually interchanged, with tuba / serpent and reeds as frontline voices. Just as often, however, the contributions of all seven musicians overlap contrapuntally, a procedure that has its roots in traditional jazz, utilised to decidedly non-traditional effect. Renowned Swiss filmmaker Pio Corradi, who has also been cinematographer on more than 60 films since the 1970s, working with Robert Frank, Xavier Koller and many other directors, recently completed a film portrait of Pierre Favre entitled “Poetry In Motion”. The film is premiered at KKL Lucerne, Switzerland, on October 28th. 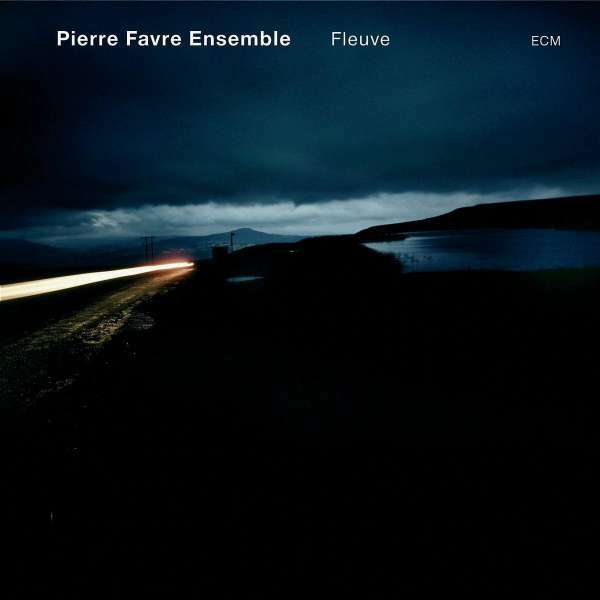 Following the screening, the Pierre Favre Ensemble will play music from “Fleuve”. All of the ensemble members are well known in their respective areas of activity. Like Favre himself, reedman Frank Kroll has experience in improvisation in and out of jazz: he has worked with Indian sarod master Vikash Maharaj and Afghan percussionist Hakim Ludin, as well as a long list of European players including Herbert Joos, Bernd Konrad and Hans Koller. Michel Godard, formerly a member of the Ensemble InterContemporain, the Venice Baroque Ensemble and Arban Chamber Brass, is also long-established as the most in-demand tuba player in improvised music and has played with Louis Sclavis, Gianluigi Trovesi, Enrico Rava, Horace Tapscott, Misha Mengelberg, Kenny Wheeler and dozens more. Harpist Hélène Breschand has worked with composers including Luciano Berio, Emmanuel Nunes and Bernard Cavanna, and is a member of the Ensemble Laborintusan and the Orchestre Trans Européennes and is active as a soloist, chamber musician and improviser. Her musical partners have included Sophie Agnel, Henri Tournier, Jean-Marc Montera, Garth Knox, Michel Doneda and many others. Bassist Bänz Oester, active in jazz contexts from standards to free improvisation, leads several bands of his and has also played with Dewey Redman, Michael Brecker, Joe Lovano and the Vienna Art Orchestra. Guitarist Philipp Schaufelberger has also toured extensively with Dewey Redman, and given concerts with Paul Motian, Joey Baron, Jim Black and others. He has been a member of Harald Haerter’s quartet since 1994 and of Lukas Niggli’s group Zoom since 2000. Like Michel Godard he was previously a part of Favre’s Singing Drums project. Bass guitarist Wolfgang Zwiauer has played across the genres with musicians from Gerorge Gruntz to Wolfgang Muthspiel to Candy Dulfer, and co-produced recordings by Shirley Grimes and Mat Callahan. W. Stiefele in Audio 1 / 07: "Sanft und fernab jeglicher Hektik entwickeln sich sieben filigrane Stücke mit magi- schen Melodien und Rhythmen. Die präzise, Wärme ver- mittelnde Abmischung erhöht den Genuss der Musik dieses maximal siebenköpfigen Ensembles."